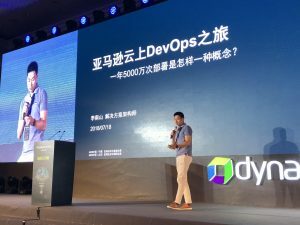 As a software intelligence company for the enterprise cloud, it’s no surprise that Dynatrace would want to spend our summer perfecting this propulsion to innovation by embedding ourselves into the core fabric of the Red Hat OpenShift Container Platform. So, how do you get into Red Hat’s DNA? You develop, build, test, deploy! While some might have been enjoying lobster rolls along the harbor, Red Hat and Dynatrace spent days refining our automation and integration with infrastructure monitoring, application monitoring, automation with Red Hat Ansible Automation, automation testing with CI/CD, self-healing/auto-remediation … we went through it all and as two organizations invested in innovation, we’ll never stop working on ways that enable companies to scale and be agile, all while breaking down silos. 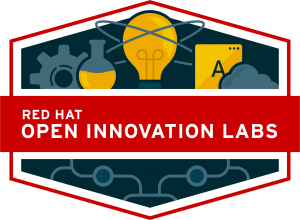 Together, we incorporated Dynatrace into the Red Hat Open Innovation Labs fabric so that customers in an Open Innovation Labs residency can opt to include the full-stack observability of their applications and workloads on Red Hat OpenShift Container Platform. The introduction of Dynatrace as part of the Red Hat OpenShift Container Platform enables monitoring of your applications without being required to build it into your application code or deployment strategies. 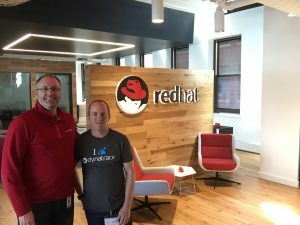 As with with most of the other technologies used within the Red Hat Open Innovation Labs, Dynatrace licensing is included for use during the residency and will emphasize the value of having a full-stack monitoring solution when deploying your applications on Red Hat OpenShift Container Platform as part of a digital transformation, an unbreakable pipeline, or an autonomous self-healing enterprise cloud. When it comes to the Red Hat OpenShift Container Platform, Dynatrace and Red Hat work together to help redefine the way microservice environments are managed and monitored, enabling you to make more informed business decisions. Dynatrace provides an all-in-one, fully automated, Red Hat OpenShift Container Platform monitoring solution that allows you to quickly and easily gain insight into the health of your applications and environment. Automation is your pathway to Autonomous Cloud Management. 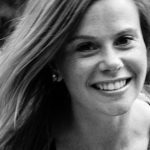 It’s impossible for humans to manually manage and troubleshoot these highly dynamic and distributed environments, where systems are composed of hundreds, if not thousands of microservices. Dynatrace employs artificial intelligence (AI) to inspect a system in real time, automatically discovering, baselining, and analyzing the architecture to understand the root cause of a problem and analyze the impact to your business. As we continue our journey together we are building tighter integrations into the platforms and greater use of Red Hat Ansible Automation to drive notifications and autonomous configuration. Keep an eye out for upcoming posts this summer where we will provide more technical discussions around use cases and capabilities.